A Par 72 course, this superb test includes three demanding par 3 holes. One of these is the magnificents cliff-top hole-16. Originally hole-7, this has a spectacular carry over the russet cliffs and is one of the most celebrated golfing images in the world. 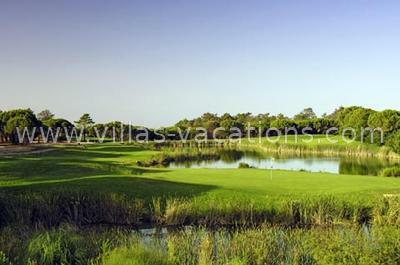 A well-known sybol of the Algarve,it is said to be the most photographed golf hole in Europe.